Do you hear “No” a lot these days? Your Potty Partner can’t help it — saying no is her first step on the road to independence. It sure makes potty training complicated, though. Keep these tips in mind while you’re dealing with a defiant toddler. Never use punishments or threats. If you get frustrated, take a deep breath and try again later. Ignore accidents and negative behavior. Your disapproval will create more negativity. Try to maintain a neutral reaction. Give your child control. Refusals are about the natural need for control. Giving choices — inside and outside of the bathroom — will increase cooperation over the long run. A power struggle means “Back off.” To help him learn to be in control of his body, let your Potty Partner learn at his own pace. Take a break for a few weeks. Boost fruits and veggies. 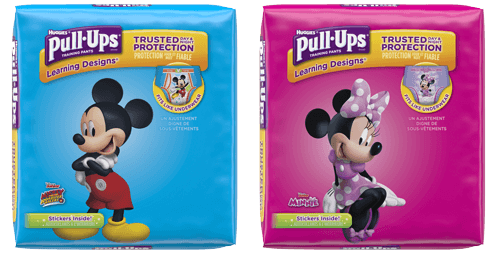 Constipation is the hidden enemy of potty training, and painful poops can trigger resistance. Healthy, fiber-rich food can help if you think your child might be constipated. Use a little reverse psychology. Try this game: Tell your Potty Partner that you have to go potty, and that you get to go first. She just may try to be the winner of the potty race!